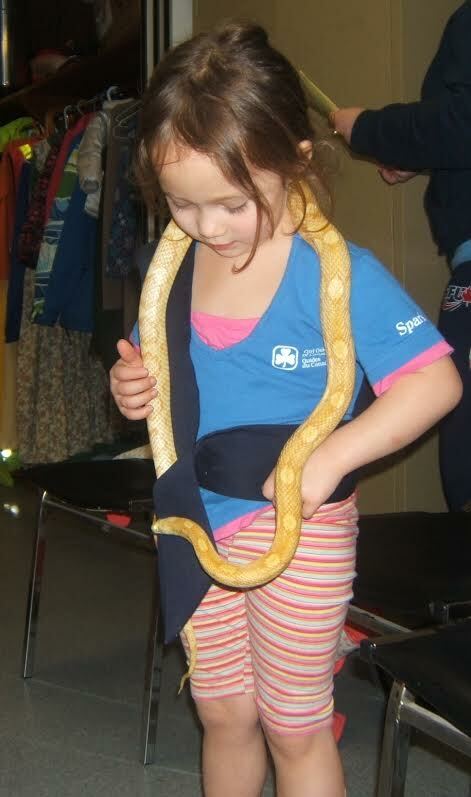 Never a group to shy away from an adventure, the 1st Sparks recently had a special guest come to a meeting. And he brought… friends. 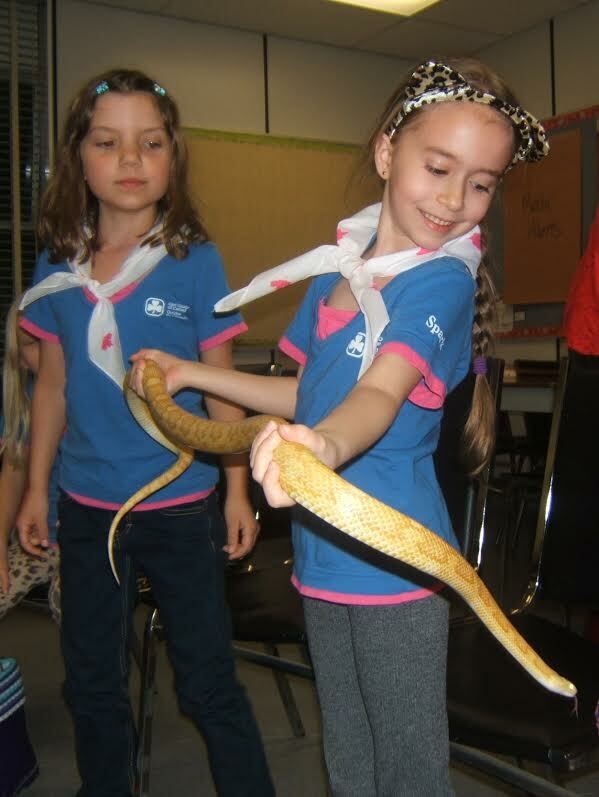 Mike, of Mike’s Critters, was a great host for the girls who learned a tremendous amount about different kinds of animals including what they eat, how they protect themselves, why they look the way they do, and lots of other really cool trivia. Mike brought a rabbit, a hedgehog, a red-eyed tree frog, a parrot, a leopard gecko, a chinchilla, a chameleon, and a mealy corn snake. The girls got to look at all of the animals up close and were able to touch most of them. 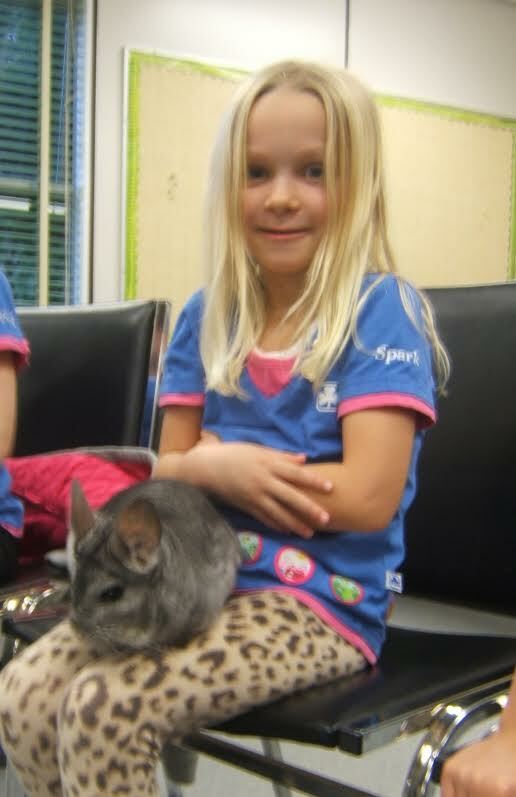 Did you know the Chinchilla is the softest animal in the whole wide world? 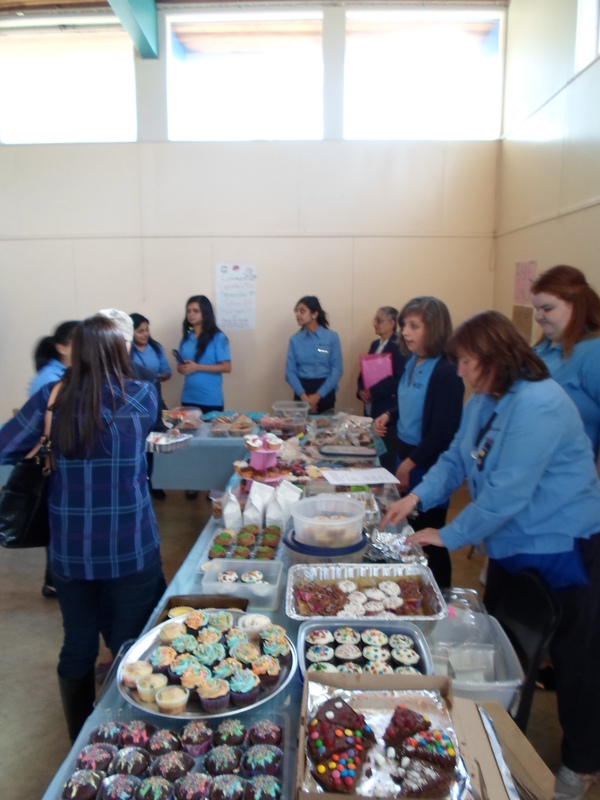 Some special volunteers even got to take turns holding some of the animals. The girls were so brave and were even excited to get to hold the snake! 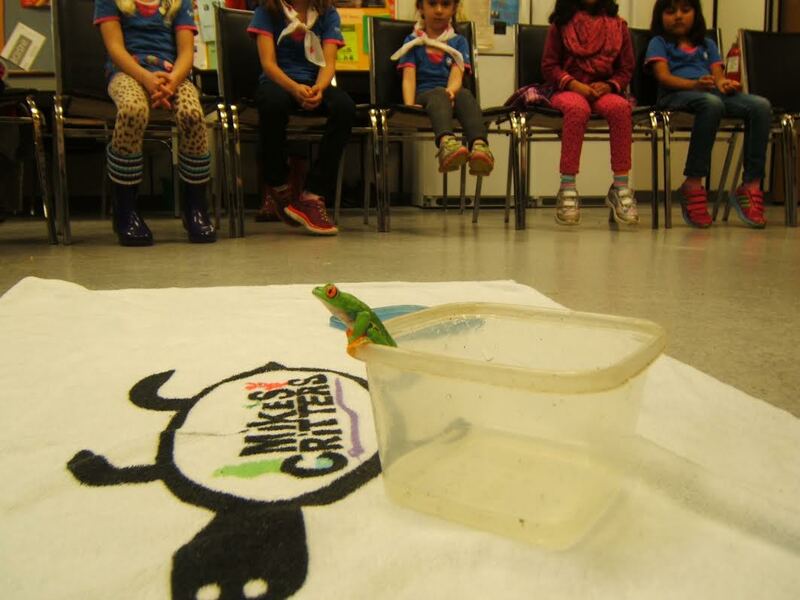 The girls were so excited to have Mike and his critters at their meeting. It was educational, engaging, and totally hands-on. What a great opportunity. This unit and its leaders give Mike a rave review and totally suggest you check out his website and condsider booking him for your upcoming events. 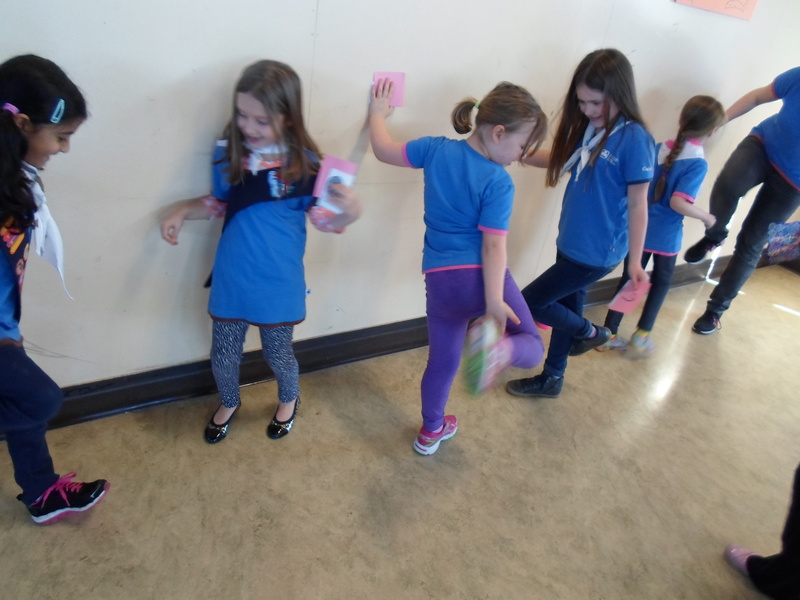 Last month the girls of the 54th Brownies enjoyed a concert at the Orpheum Theatre in downton Vancouver called Latin Beats Heroic Feats. 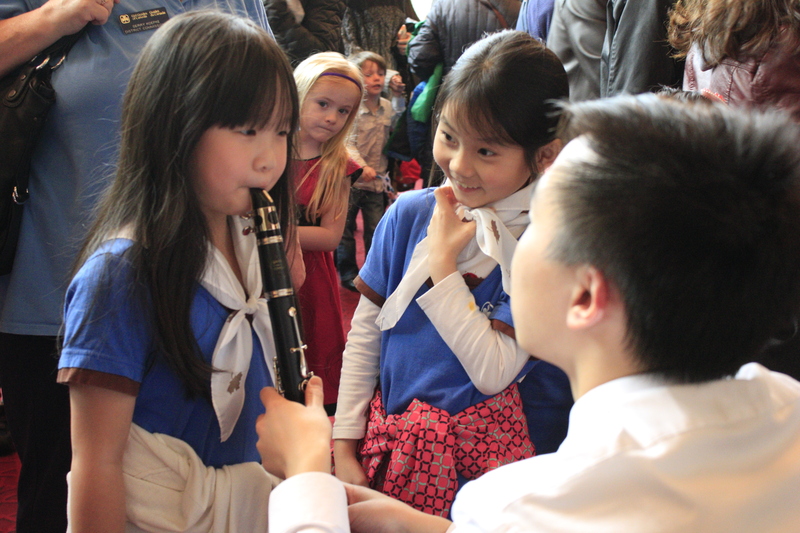 The Vancouver Symphony Orchestra put the show on as a part of their Kids’ Koncerts series. 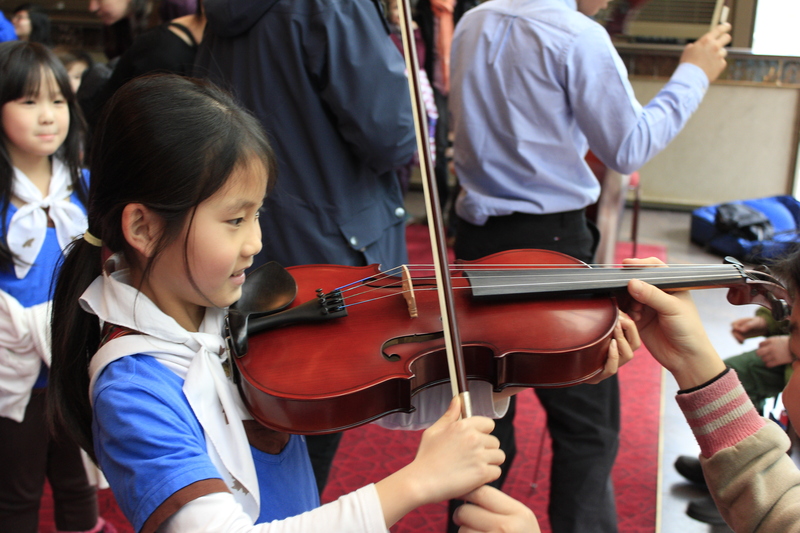 Especially exciting was the opportunity visit the VSO Instrument Fair in the hour before the show. The girls got some hands on exposure to a variety of instruments. Performers were available with several different instruments to give kids personal demonstrations and a chance to try them themselves. 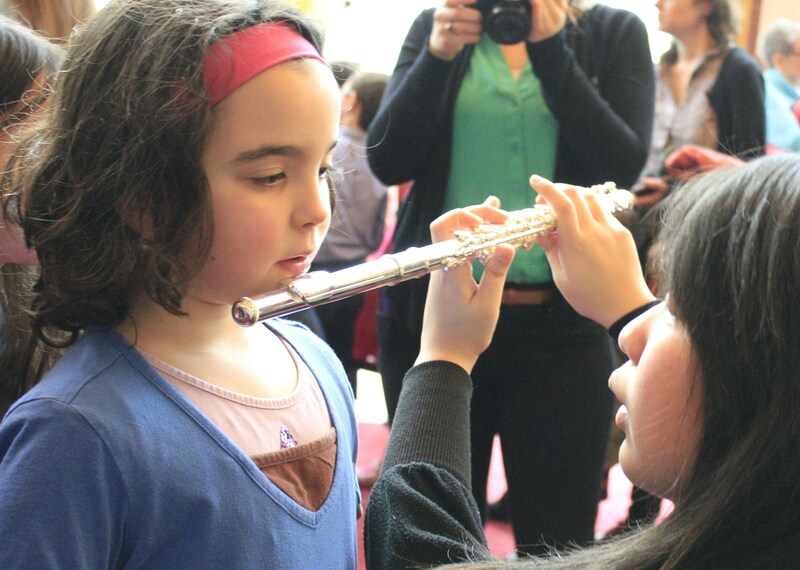 The girls had a chance to try a cello, violin, flute, oboe, bass clarinet, and more! 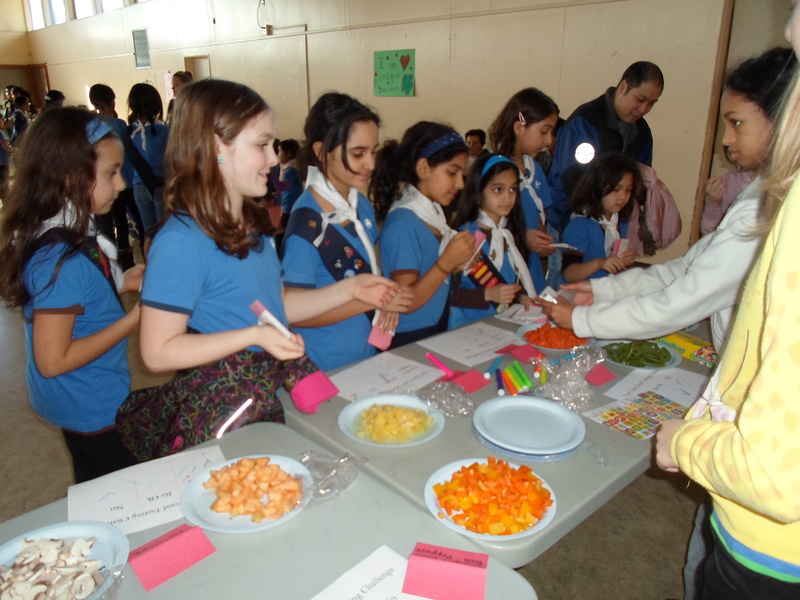 There was even a craft station — always a bit hit with Brownies! 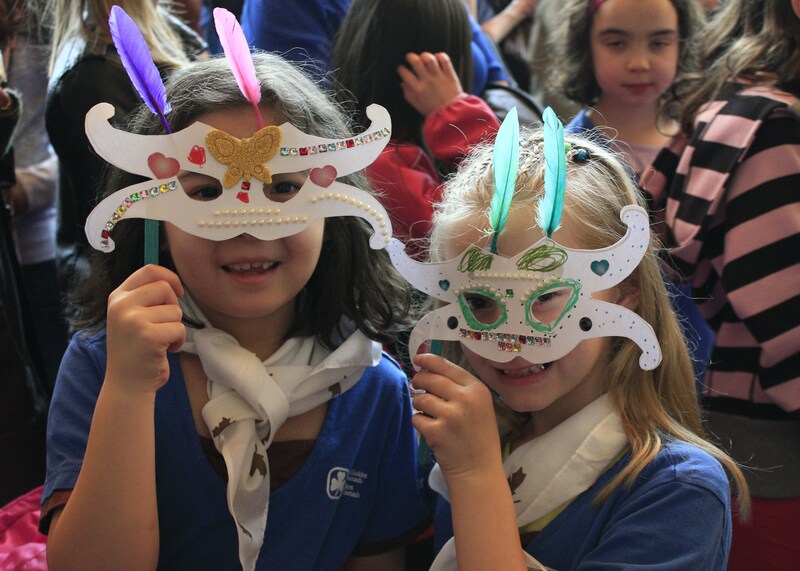 — where the girls got to make their own carnival masks, which later became a part of the interactive show. 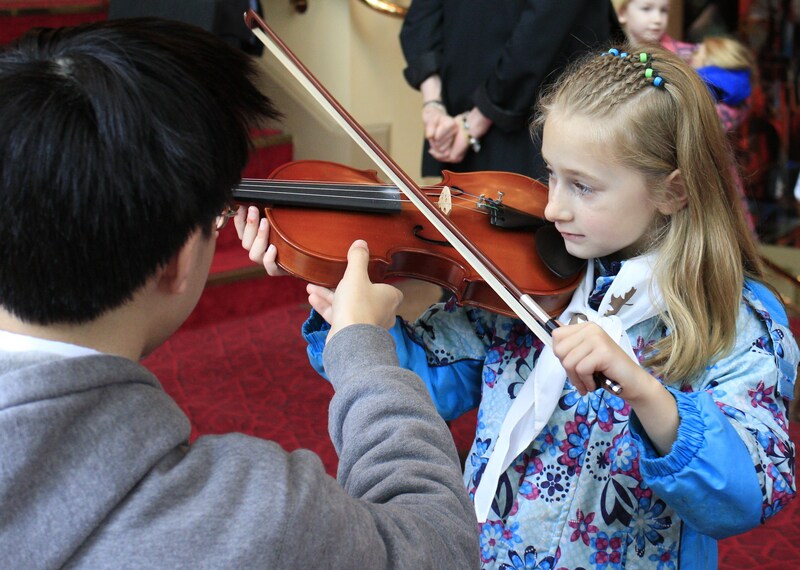 The orchestra performed a number of musical pieces from across North and South America in an interactive show designed for kids aged four to eleven years old. Clowning and puppetry were also used to stage a story about a young boy’s travel through time and space, learning all about music and rhythm. 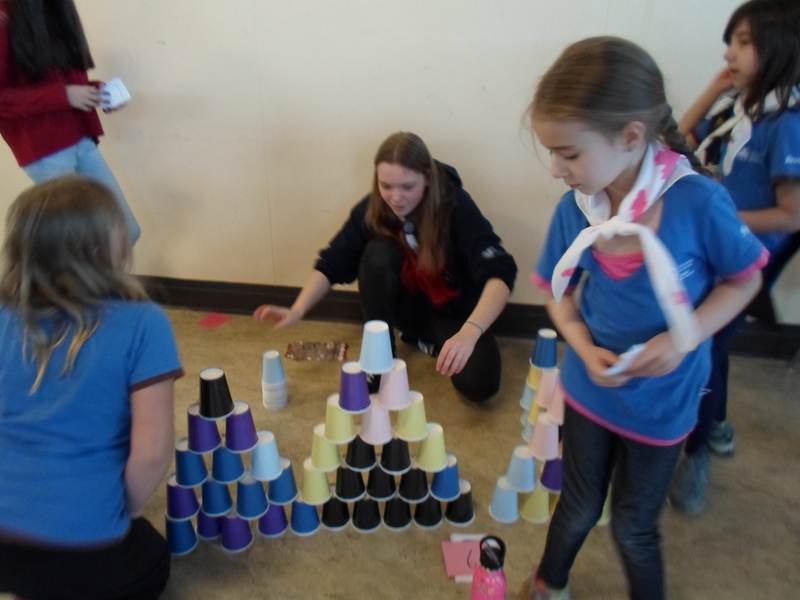 Once again the girls impressed everybody with how well behaved and engaged they were through the whole experience. 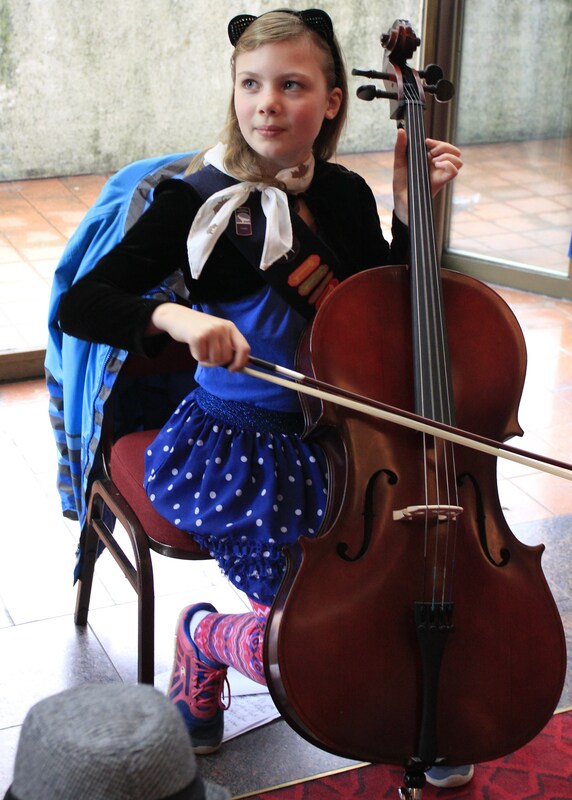 This unit visited the symphony last year as well and when Brown Owl asked what kinds of outings and activities they wanted to plan this year, there was an overwhelming desire to see the symphony again. 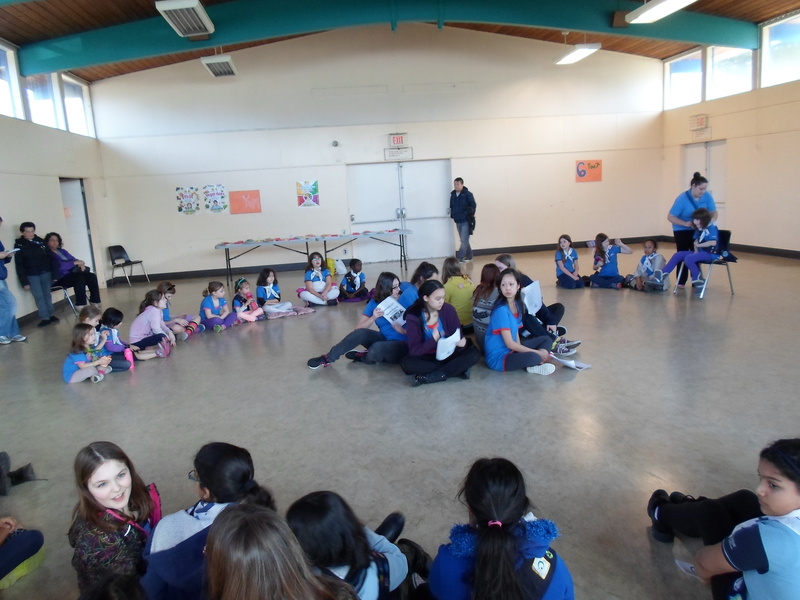 Way to go, 54th Brownies, helping these girls develop a love for live orchestral music!